Molly Mahoney is a vocal performance/creative career coach, author, and owner of The Prepared Performer. A proud member of the Actors Equity Association, she earned a Bachelor of Fine Arts in Theatre and Dance Performance from Chapman University. She has spent the past 15 years performing in regional theaters across the country, NYC jazz clubs, aboard cruise ships and in Las Vegas at The Rio Hotel and Casino. She has a full-length CD of original music entitled “Get What You’re After.” (now available on Itunes by clicking here!) And, you can also spot her in the swing dancing in the dance marathon episode of the “Gilmore Girls”, They Shoot Gilmores, Don’t They, which was directed by Kenny Ortega. Recently, she performed with the National Tour of “Chitty Chitty Bang Bang,” got married to her favorite bass player Mr. John Dominguez, and brought two little men into the world named Frank and Charleston. While working as a professional performer, Molly has been lucky enough to study with legends Henry Le Tang, Frankie Manning, and Fayard Nicholas of the Nicholas Brothers and her favorite tap guru Ray Hesselink. She has studied voice with Andrew Byrne, and Joann Zajac, acting with John Ruocco and Joan Rosenfels, and Alexander Technique with Chloe Wing. After working consistently as a performer out of NYC for several years, Molly is happy to have relocated back to the West Coast. 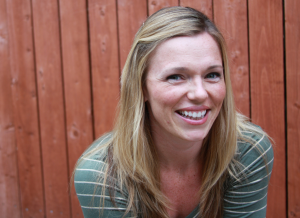 She now uses all that she learned building her performance career in NYC, on Cruise Ships, Regional Theaters and in Las Vegas in order to help her students and clients attack their goals with clarity, confidence, and (most importantly) joy. She is committed to curing the starving artist syndrome by helping performers to see the endless opportunities they have to build businesses using their talents. With her program, Performance Power, she shows business owners and their teams how to bring a sense of stage presence to their everyday lives. When not celebrating the goodness of her clients, she loves cuddling her 4 and 2 year old boys and singing with her bass playing husband and their jazz ensemble, Her Lucky Stars. Shakespeare said it best, all the world really is a stage. And it’s time to take your show on the road! Check it out! Molly's new book is available on Amazon! 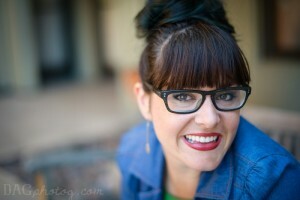 I'm so happy to introduce the following instructor/guest blogger/givers of advice to you! They are all working hard behind the scenes to answer your questions… so if you are in need of any advice. Please email us via our contact page and let us know how we can help. We'll do our best to get a blog/video up asap pointing you in the right direction. Currently in Wicked on Broadway, Nova Bergeron has toured nationally with Wicked, Sweet Charity (Frug Girl), Evita (Tango Dancer), Fosse (Trumpet Solo) and played Constance Sack in the Off-Broadway production of Rock of Ages. She most recently appeared in the first season of SMASH. She has worked with such choreographers as Mia Michaels, Anne Reinking, Josh Bergasse, Andy Blankenbuehler, Kelly Devine, AC Ciulla, and Wayne Cilento. She holds a BFA in Dance Performance from Chapman University. As a teacher, Nova specializes in the Fosse technique and has taught master classes both nationally and internationally. She teaches master classes and occasional daily classes at Broadway Dance Center and for various companies throughout New York City including Broadway Connection, Broadway Classroom, Students Live, Broadway Artist Alliance, and Camp Broadway. She believes that in teaching the works of great choreographers, their vision and passion lives on. 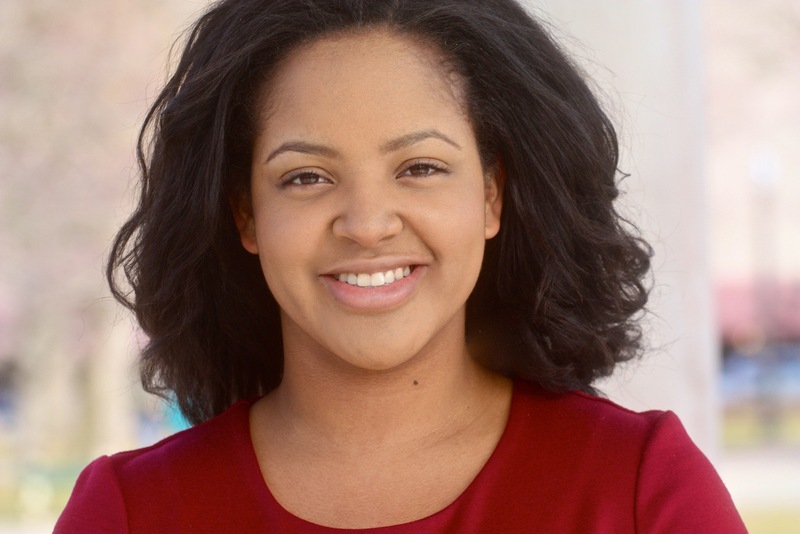 Shanae Burch is a recent graduate of Emerson College’s BFA Acting program. While there she had the pleasure of studying under the leadership and guidance of a multitude of gifted artists. She likes to think her education gave her the ultimate actor’s tool belt to complement her natural born instinct to tell stories. Shanae’s rich training was spent studying Movement & Shakespeare with Sarah Hickler, Voice and Text with Robert Serrell & Melissa Baroni (Designated Kristin Linklater Voice Teachers), Improvisation with Ken Cheeseman who used the writings and teachings of Keith Johnston, Ensemble work with Scott Fielding, Accents & Dialects with Amelia Broome (Intro to British RP, Cockney, & South Afrikaan), Meisner and the Stanislavsky’s method with David Krasner, Auditioning and Solo Performance with Kathleen Donohue, and Stage Combat (Unarmed/Rapier/Broadsword) with Ted Hewlett while studying the works of Anton Chekhov, Michael Chekhov, Sanford Meisner, Brene Brown, and Eckhart Tolle with Craig Mathers. While at Emerson, Shanae had many performance opportunities that went beyond the classroom and led to workshops and collaborations with award winning directors like Melia Bensussen, Benny Ambush, Courtney O’Connor, Sunil Swaroop, and accomplished theatre groups like The Civilians, as well as new works from playwrights and production companies like Kirsten Greenidge, MJ Halberstadt & Retrop Productions. From Harper of Angels in America to Paulina in Winter’s Tale, she feels blessed to have played a variety roles thus far. She directed “For Colored Girls Who Have Considered Suicide/ When The Rainbow is Enuf” by Ntozake Shange last fall, and enjoyed the private monologue coaching experience. Daryl Getman, an actress and dancer, loves performing and working behind the scenes as part of a creative team. She recently assistant directed the new musical Christmas Rose at Carnegie Hall while making her Carnegie debut in NYC. She also choreographed a musical special for ABC’s Cougar Town. Other creative credits include: assistant director for Cold as Ice, a new ice skating musical, assistant choreographer for Jane Austen’s Pride and Prejudice the Musical, as well as the Broadway tryout of Yank! You can spot her in the COMCAST HOLIDAY SPECTACULAR, a film playing at the Comcast Center and a new HD film for the NY Stock Exchange. Performance credits include: 1 Bang, Radio City Christmas Spectacular, Broadway bound Trip of Love, The Music Man and Damn Yankees (Ogunquit Playhouse), Singin’ in the Rain (Goodspeed), Joseph (MUNY), Gigi in Gigi, Thoroughly Modern Millie (LA), A Midsummer Night’s Dream (Pasadena Civic), La Boheme (Placido Domingo, LA Opera), and Mouse Hunt (DreamWorks). NYU –Tisch graduate. Charna Lopez has been teaching dance and musical theater to kids of all ages for over 15 years. Charna is an award winning performing artist who has appeared all over Southern California at theaters such as Moonlight Amphitheater, Performance Riverside, Candlelight Pavilion, and Saddleback CLO. Among her favorite roles are the title role in Peter Pan, Rizzo in Grease, The Witch in Into The Woods, DeLee in Smokey Joes Café (Theater League Award, Patte nomination), The Waitress in Working, Joan in Dames at Sea, and Patsy in Crazy For You. Charna has choreographed and directed “You’re A Good Man Charlie Brown”, “The 25th Annual Putnam County Spelling Bee”, “Bye Bye Birdie”, “Once Upon A Mattress”, “42nd Street”, “Annie” and “Honk!” She received her BFA in Film and TV from Chapman University, teaches Broadcast Journalism and Musical Theater at Orange County High School of the Arts and teaches Tap, Jazz and Show Biz Kids at The Music Room School of Performing Arts. Charna and her husband Jerry are excited to welcome their newest family member, Sebastian, to their family.